Helloooo lovelys its been FOREVER!! 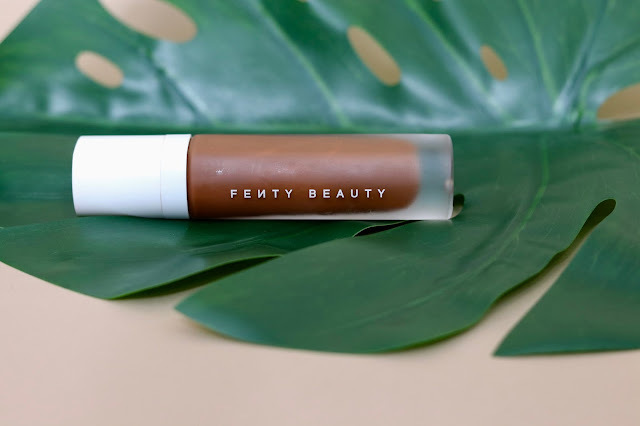 This post is long overdue, but I got my hands on Rihanna's Fenty Beauty back in September, and I've been loving it ever since. I picked up the Pro Filt'r Soft Matte Longwear Foundation in 460, the Match Stix Shimmer Skinstick in Sinamon, Match Stix Matte Skinstick in Mocha, the Killawatt Freestyle Highlighters in Ginger Binge/ Moscow Mule and Mean Money/Hu$tla Baby as well as the Gloss Bomb Universal Lip Luminizer. Pro Filt'r Soft Matte Longwear Foundation in 460: This is a matte foundation, but the finish appears to be more of a demi-matte. 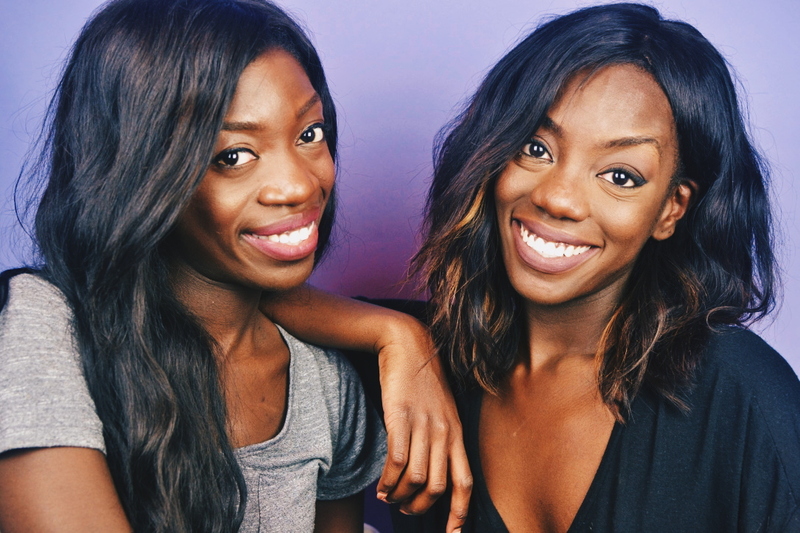 The shade 460 is good for those with dark skin and cool/neutral undertones. If you are looking for a foundation with medium to full coverage, this would be perfect foundation, as it is quite buildable. 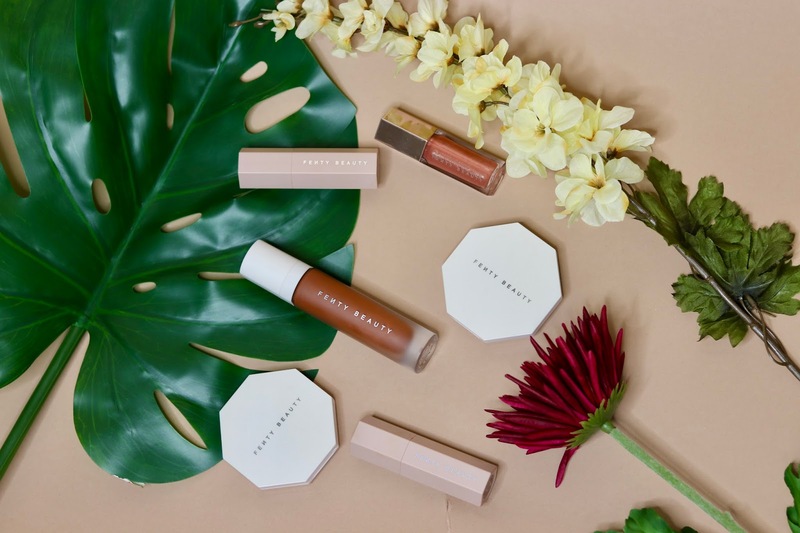 It's long lasting throughout the day, but doesn't seem to pair well with primers that aren't from the Fenty Beauty line of products. However, I am seriously digging this foundation, because of how well it matches my skin tone and the coverage it provides. It looks natural, offering quite a bit of coverage without looking cakey. Match Stix Matte Skinstick in Mocha: Great for brightening up the under eye area. It is a creme formula that goes on smoothly without creasing. 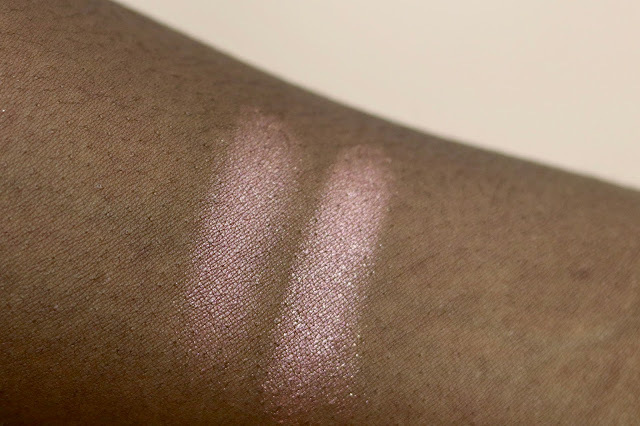 You can also get the skinsticks in a trio that include a highlighter and contour stick. 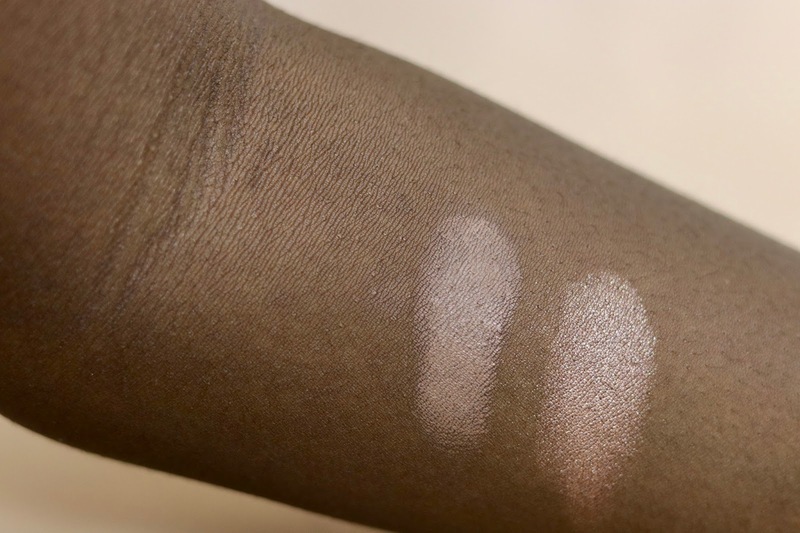 I opted to get the single skinstick, as the contour shades in the trios were not dark enough for my skintone. I found that a little disappointing but seems as though she will be coming out with much more, very soon, so fingers crossed! 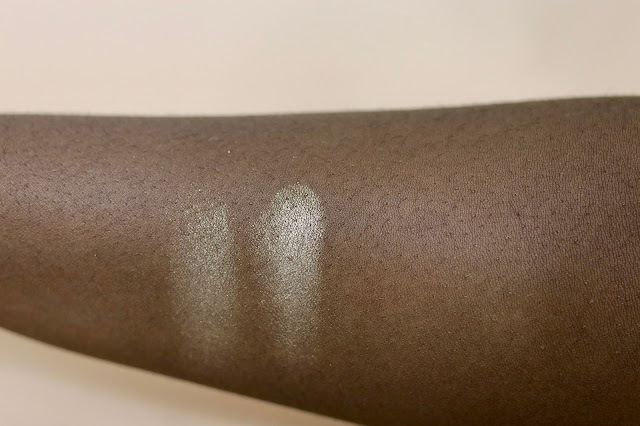 Match Stix Shimmer Skinstick in Sinamon: This product serves as a more subtle highlight for everyday. It also serves a multi-purpose item as well - you can put it anywhere! The bridge of your nose, cheeks, eyelids, wherever you want really! 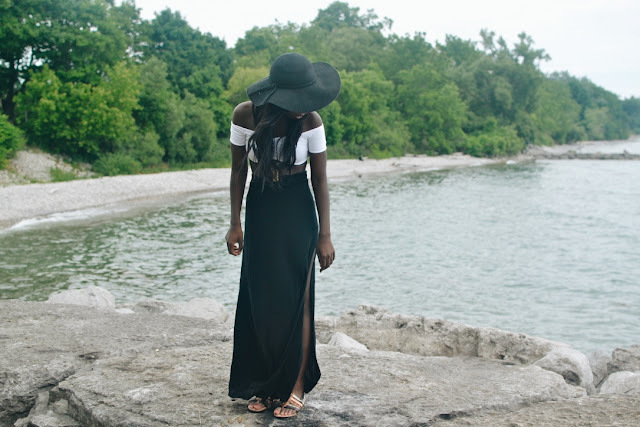 I've really been enjoying the versatility of this product. Killawatt Freestyle Highlighters in Ginger Binge/Moscow Mule and Mean Money/Hu$tla Baby - These highlighter duos are absolutely amazing! 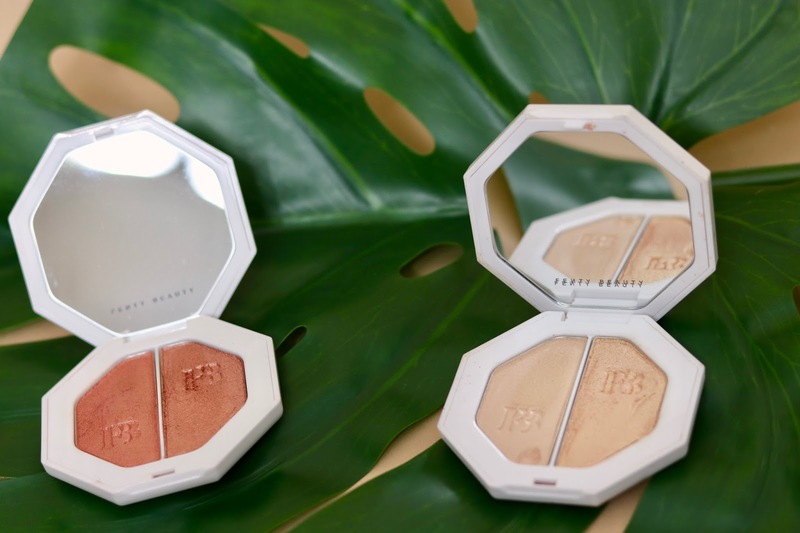 Each set is made up of two similarly pigmented highlighters - one subdued and one that's more high wattage. 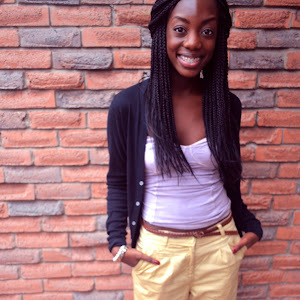 The more subdued side I tend to use for an everyday look, while the other I opt to wear at night. 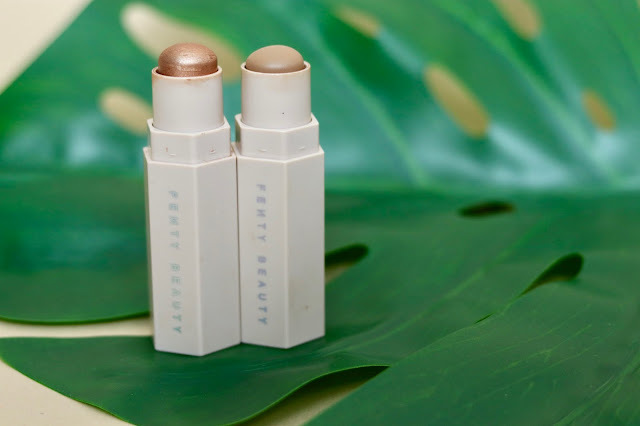 Like everything else in this line, the highlighters are very versatile. Ginger Binge/Moscow mule I sometimes use as a blush, opting to place Mean Money/Hu$tla Baby on top as a highlighter. I feel like with the duos, you get more bang for your buck and versatility. This is hands down one of my favourite offerings from the line. Match Stix Matte Skinstick in Mocha (left), Match Stix Shimmer Skinstick in Sinamon (right). 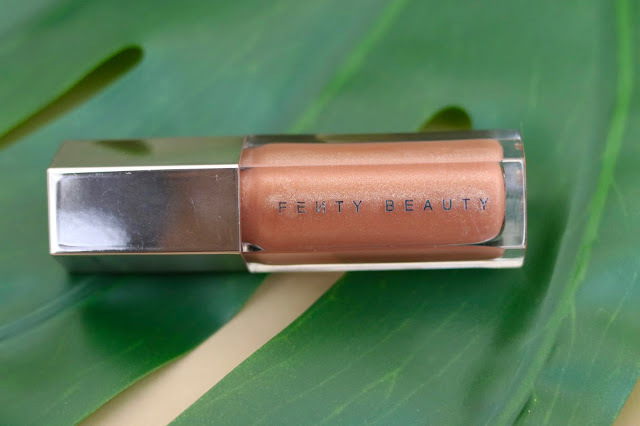 Check out my YouTube review of Fenty Beauty!